Nisha Srinivasan and her husband Ragu Padmanabhan had Silicon Valley careers, when in 2008, soon after having their son Aum, they promptly sold everything off and moved to rural India. They wanted to farm, but had no experience in it and so set out as students of the land -- for instance, when they planted 9000 trees on their barren land, thousands didn't make it, but thousands blossomed into a mini-forest. More generally, they jumped in with the intention of living and being in a way that was better aligned with their inner voices, and learning what they needed along the way. In their own words, they just saw it simply as an"experiment in laying a new path on an old road that leads to simplicity, sustainability and dare we say, spirituality." Below is a talk Nisha gave to a gathering of friends, followed by a Q&A. I feel that all of us have a set of aspirations and also have a set of circumstances – sometimes these circumstances are empowering and sometimes limiting. If our aspirations are deep enough, we can flip the circumstances around so that we see the imaginary rope that ties us to a diving board, realize that we are on a diving board and have the courage to release the rope and jump. There are people who are very severely constrained to put food on the table every single day and such. But when we are adorned with a certain set of privileges, circumstances have to be flipped around for us to reach our aspirations. Those of us who have those set of privileges have a greater responsibility to not let the circumstances limit us and that’s the crux of my perspective on making a shift. I was raised very simply in a small town and my father built a house which was very far away from the city because that was the space he could afford. And we had a garden so I always had this connection with the soil. Right from Grade 1, most of my vacations were spent roaming around the neighborhood, planting cuttings from neighbors and asking people for seeds from their gardens. I realized my love for greenery was there – a value that my father had that he subliminally transmitted it to me. As we grew up then, the whole focus was on education and I rode the same software wave that many of us have in the years 1999 and 2000. I worked in a very privileged environment, was living in the Bay area and you have so many good things happening, just like this space. Similar spaces were available to us and specifically, we were fortunate to be a part of ServiceSpace. In those days, a phrase kept coming in my head and didn’t let me sleep. Everybody keeps talking about the California Lifestyle. The question that came up was “Do I want a life or do I want style?” We had been introduced to meditation for about 4 years then and we were drawn to a mode of existence that is not filled with sensory inputs all the time. While I was struggling to find answers and resolve, or sometimes subdue, these conflicts, I happened to walk into an Awakin gathering and I met this person who taught meditation to prisoners. I had never heard of him before and never saw him after. I think to myself: Is he talking about life vs.style? 2) To do work that is good for me and not harmful for others. At this moment another light bulb goes up and sets me thinking: I really want to get away from meaningless work and do something more wholesome. I had felt so happy volunteering during the Green Festival and sowing that one seed of beans and seeing it flourish. Perhaps he is referring to that. 3) Spend more time in reflection. I too feel the need to do that, but I am just having sleepless nights. As he spoke further, only the first few words entered my ears and the rest faded away, like in a movie, because I was hearing my own aspirations through his words. I had not taken many steps in that direction and I just had questions and he seemed to be articulating answers to those questions as a set of 3 principles. A lived truth always appeals to one much more than theory. I went home and told my husband Ragu all about it and said, let’s put up the house for sale tomorrow morning, first thing. And he happily agreed. That was the beginning of our shift back to India. So we moved back and found this piece of land in a village near Coimbatore. Somebody else found that land for us and we didn’t know much at all and bought it without research and analysis. Later, we learnt that this was a land where they had grown only vegetables for 35 years without crop rotation and tons of fertilizers. When they ran out of ground water, the owner decided to sell it and we happened to buy it. 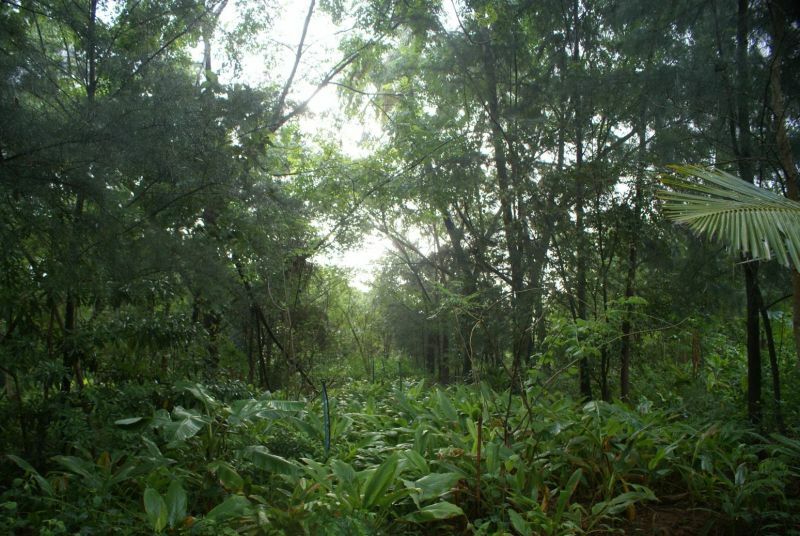 It really didn’t matter that much to us so we planted about 9,000 hardy trees, a good percentage of them survived and the land rejuvenated itself. It is a source of everyday joy to wake up to the mini forest and the birds and the countless rabbits that are running across. It still gives me a startle. It is all nature’s work. You take one step and nature takes 10 steps. This is where we are today. There were a few learnings in this process. You step into one holistic exercise and you soon find yourself moving into many holistic experiments. For instance, it was not possible in our conscience to have this piece of land that we would joyfully work on reviving, and then build a house that is conventional, with lots of concrete and mortar. Hence we decided to build a house as eco-friendly as possible, re-use old wood, use native stones and minimize steel by using bamboo. Ragu and I embarked on this construction journey with no background in civil engineering and no understanding of labor and material management. We ended up building an eco-friendly house (with many mistakes) that we love living in! The other experiment was to part ways with mainstream schooling. I experienced it to be set up to produce either a blue collar worker out of somebody who does not get math and science, or a white collar worker out of somebody who gets math and science, or communicates really well. We asked ourselves if we really want to do that. We sent our son Aum to school for one year and realized that the rhythm set by the school routine is in complete contrast to the natural rhythm of a child. So we started farm schooling. Here, he learns mostly from nature by observation and questioning. We have some structure for a couple of hours but I believe he learns far more by observing nature. We saw friends and family falling sick at times and the anxiety around going to the doctor, buying medical insurance and so on. Questions like what would we do if we are detected with cancer, what if our parents have chronic medical conditions, what would we do when our child is running a temperature of 104 for 4 days were common. We had no answers. Fortunately, a few of our friends had attended a Nature Cure workshop. We were curious to learn Nature Cure principles from an authentic teacher and see for ourselves. So we learned how to take care of our body and mind and use food as medicine. We saw the many similarities between Nature Cure and Meditation and putting these two together, learned that undigested food and undigested thoughts are the chief causes of diseases in an otherwise normal person. It was very humbling to re-learn how to eat food and how to cook food. We felt called to share the knowledge of this life science with friends, family and the local community and started holding Nature Cure workshops along with other friends and volunteers to disseminate this knowledge as a gift. We held 15 residential 7-day camps and quite a few 2-3 day courses at our home and in the homes of generous friends. Soon we realized that all these good things are anchored only by our own centered-ness. Once when we did a typical 7-day camp for 130 people, a few volunteers wanted to scale it to 200 people. That really made us pause and think what we were getting into. The reflection helped me see that it’s easy to nourish our ego and fall in the trap of scale and forget all about detachment. So we applied the brakes and made efforts to decentralize the camps. We then decided to do camps with just 20 people – the smaller the better. Local camps have been happening regularly and there are new people who have taken it upon themselves to keep them going. And we focus more deeply on the community in our physical and mental vicinity. Being in nature has really taught us that when the fruit is ripe, it just falls. 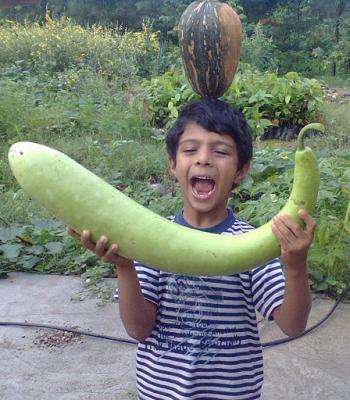 Like the Maha Mrityunjaya Mantra says, "When a cucumber or melon is ripe, it needs no effort, it just falls. Similarly, when an action is ripe, it will happen through us. We don’t have to go and tug at the action." For a long time, I had a bias that my life should be filled with action and not activity. Vinoba Bhave beautifully distinguishes between activity and action. Sometimes, I felt that I was standing in the way of a lot of good things in our neighboring community because I was looking at everything with that judgment. I was pro-action and anti-activity. When I look at nature’s design, I cannot understand everything. I don’t understand if leaf shedding by a tree in Autumn is an Activity or an Action. Sometimes it’s just best to leave it to emergence as long as it is not mis-aligned. 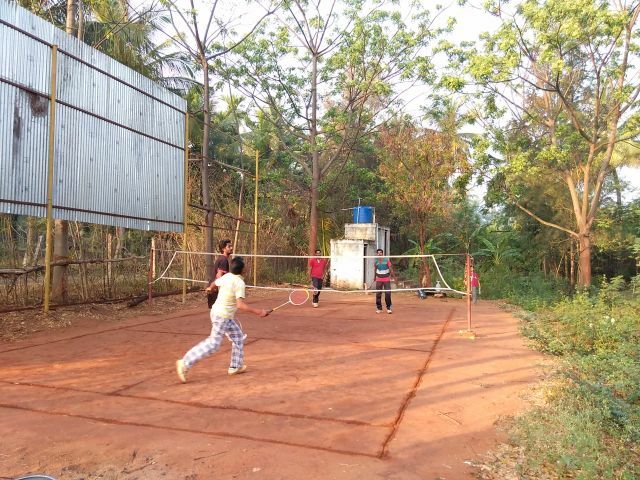 Co-incidentally, around this time in the village, a person who was paralyzed on the left side said that he really wanted to play badminton with other villagers and wondered if we could offer a space for that. 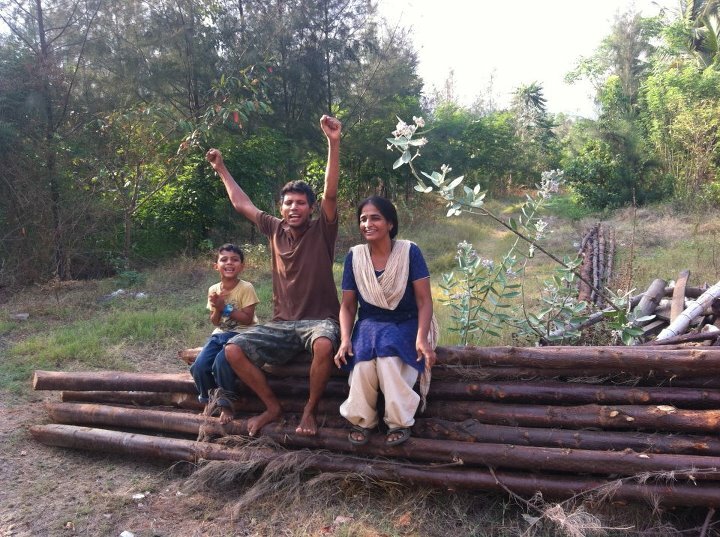 We showed him a place with a pile of rubbish -- that was the only place where we had not planted trees and told him that it will be a lot of hard work to convert it into a badminton court. He nodded his head. And in just one and half days, there stood a badminton court with proper sized poles and net. 12 volunteers, machinery, a roller and a truck made it manifest. Alcohol is a big problem in our village and we suddenly realized that these two dozen people who come to play belong to the only families in the village who do not drink. This group slowly became a cohesive volunteer force with consistent interactions. 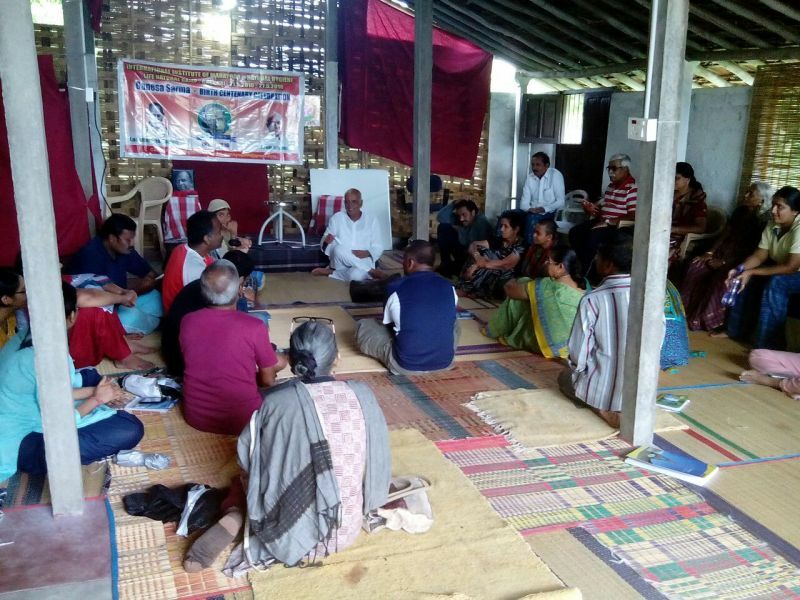 They started by asking “Sir, can we learn English?” As they were learning English, Ragu would talk about Gift ecology sharing, and how the villages took care of each other in earlier times, how we can have better life, better health and so on. They were listening to this content but they thought they were learning English. 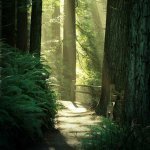 So when things came together, they asked “Why don’t you do a Nature Cure workshop for us? Do it in Tamil so we can bring our families too!” We have done 3 local workshops so far. And then I felt the need to pause and deepen the understanding and relationships. So now some alumni of these 3 workshops meet regularly and we talk about case studies or recipes. With smart phones everywhere, an active Whatsapp support group also exists. Recently, a photographer who was on the verge of giving up his profession due to the issue of varicose veins was cured just by following the Nature Cure diet. He became a brand ambassador and I often see him preaching Nature Cure to a small group of villagers! And a few months back, one of the workshop participants asked us “You eat organic food and talk about it but we don’t have access to it. Can you arrange for it?” A few more wanted to feed wholesome food to at least their children. This led to us organizing weekly purchases and now we have an online messaging group for placing orders. And every Sunday, they would pick up whatever they had ordered. That’s our little organic market! There is also a much larger network of organic farmers and consumers in Coimbatore that we feel quite connected to. At one point, I felt so humbled to see someone who makes only Rs 6,000 ($100) a month spend Rs 800 on organic products. When questioned, he said that rather than giving Rs 500 every month to the local hospital and pharmacy to handle illnesses, he is only spending only Rs 300 extra to eat hexane-free oil, fiber rich rice and pesticide free Raagi. Then we also started encouraging them to pluck nutritious vegetables like Moringa and greens for their families every Sunday. And out of that goodwill, a group of 6 people formed a Green Brigade to work on our farm for an hour after badminton on Sundays. This group is not just about an activity called Badminton any more, though that is how it started. So these are some glimpses. And none of this is possible without the buffer that nature provides us. Without a practice that helps stay grounded like reflection, meditation, whatever you would like to call it, everything else would have no context. Everything that comes is like a bunch of roses with thorns – when something doesn’t go right, it pricks and there is pain but it doesn’t translate into suffering because you know that there is a larger context in which we are living and it is meaningless to amplify pain. The farm has given us the base from which we are able to practice this theory a little bit, a little more easily. I’m not suggesting that everyone needs to transition into a farm-based or village-based life. There are many holistic professions that one can commit a life to. To me, it depends on our circumstances and our journey from circumstances to aspirations. How clutching the circumstances are and how deep the aspirations are and how much we are willing to do – that would decide the hour of the journey. Q: How easy or difficult was it to give up all the comforts and suddenly transition from a life of lot of choices? Because there are lot of intermediate goods and you not only have the needs but you also have the wants. How ­do you reduce from that? Did it happen automatically or did it require effort? A: I was blessed with a middle class life from the beginning so we never had too many creature comforts to begin with. And the creature comforts started coming only after I started earning at the age of 23 and lasted till the age of 32, till we took the decision to move back. Perhaps 10 years is too short a time for the mind to get set :) That could be one reason. Another reason is that we did not get attached to many things, even back in the US for example, our living room did not have any furniture, it only had cushions and even my neighbors there would come and sit on the cushions happily, so we never felt any peer pressure even back there. We didn’t have a cable TV connection, though we were attached to books. The bigger shock of adjustment came when Ragu and I decided as an experiment to live in a shack for two years in the village when we first moved there (while our house was being built). It was like one room divided into kitchen, toilet and bedroom. It had a roof that leaked all over so when it rained heavily, it would be hard to find a spot we can put our son without water falling on him, while we tried to fix that leak. We went through that phase for 2 years. It was very painful but we had context. Being exposed to the five elements all the time at their best, at their worst in these two years prepped us into what you could call voluntary simplicity, but it didn’t occur to us to give any labels at that time, as we were doing it to learn, and learning is always fun. Hence it wasn’t a sacrifice nor was it something done to prove to the world that we can live in a shack. If any of you are considering moving to a farm, you could start by taking your family along on weekends and expose them to the farm life. Slowly, they may start thinking that this is also living. To answer your question about how the transition was, I am reminded of a quote by Gil Fronsdal here - “The more aware you are of your intentions, the greater your freedom to choose”. Q: You talked about action and activity, can you elaborate on it? A: Vinobaji (Vinoba Bhave) in his book Moved by Love distinguishes between these two. Activity is shallow and action is more coming from insight, has a purpose and has deeper meaning. I always thought that in our life, only meditation, yoga and farming had action in it and the rest of the things like playing badminton or learning English, are just activities, time fillers. So something that aids inner transformation vs. something that fills your time. Q: How important do you think is faith in the journey of your shift to the farm? A: There is a definition of faith by Adyashanti that I find very illuminating “Faith is a withholding of conclusion so that you allow what is to arise”. That aside, when I hear you say faith, I believe it is conviction that you are talking about. Q: How do you get clarity in life? A: Clarity is not an event, it is a process and if you are really seeking clarity by immersing yourself in those circumstances, it has to come. How do you accept a simpler way of living? It happens by packing your bags and going to a simpler place and trying to be simple and experimenting for yourself. Similarly, conviction is a process, it is also a culmination but before that it is a process. When you have it, have clarity, you don’t need courage. Clarity supersedes courage. For us, it came in bits and pieces. Clarity came to me when I heard those 3 principles spoken as a lived truth. If the quest is on, it would have come from any direction. But theoretical seeking of clarity pushes us to more analysis and is not the path I am a fan of. If you are interested in farming, sow a seed. I am big believer in that and my bag always has seeds, wherever I go, the first thing I do is to find a space and plant seeds. Everyone in every domain can find a simple, small practice that keeps that little flame within alive. If that is alive, you will seek clarity and if you seek it, it will come. Osho once famously said, “If you are in darkness, go light a candle. Nothing else, don’t talk about darkness, or even about the candle.” This is what we keep practicing gently in ServiceSpace as well. And the Gandhian quote, “Be the change you wish to see in the world” articulates this truth so well. Talking is good, sharing is good but it is better if it is accompanied by action. Nisha Srinivasan and Ragu Padmanabhan edit a monthly newsletter called Seeds and Transformation. More about their journey on the farm, including reflections from farm-schooling their son, Aum.